The Linksys Connect is a powerful tool that would help you install and manage your Linksys Smart Wi-Fi Router, Linksys Wi-Fi Router or Linksys X-series Gateway, personalize the Wi-Fi security settings of your network, allow Guest access and even specify internet access for your computers. NOTE: Visit the Linksys Support Site to browse for more troubleshooting articles, downloadable user guides, firmware updates and other support information. For the list of devices compatible with Linksys Connect, click here. NOTE: With the latest version of Linksys Connect, your router and gateway settings will automatically synchronize with any changes made through the router’s web interface. To learn how to download the updated version of the Linksys Connect, click here. There may be a need to manually reconnect any wireless device to the network if the Wi-Fi name or password was changed. Why should you use Linksys Connect? The Easy Setup Key is a USB flash drive that stores the settings of your Linksys Wi-Fi Router, Linksys Smart Wi-Fi Router or Linksys X-series Gateway such as Wi-Fi name and password. You can create your own Easy Setup Key to easily connect additional computers. To learn how, click here. To learn more on how to connect additional computers to your Linksys Wi-Fi Router, Linksys Smart Wi-Fi Router or Linksys X-series Gateway, click here. Parental controls is one of the features of Linksys Connect wherein you will be able to restrict the internet access of your children. Personalizing your settings will allow them access to the internet only on times you specified. You can also block certain websites by specifying the links. If your children attempt to access a blocked website, a password will be required to access the blocked sites. To learn how to set up Parental controls to block specific websites, click here. Although the Linksys Wi-Fi Routers (E1200, E1500, E1550, E2500, E3200, E4200 v1 and E8350), Linksys Smart Wi-Fi Routers (E4200 v2, EA2700, EA3500, and EA4500) and Linksys X-series Gateways (X1000, X2000, X3000, and X3500) allow you to configure the Parental controls feature using the router’s web interface, it is still recommended to use Linksys Connect as the primary configuration method for this feature. 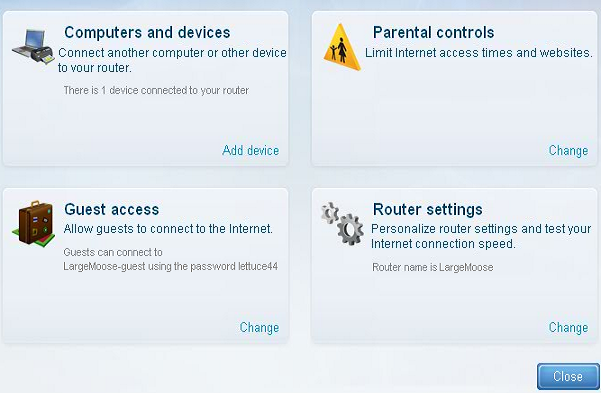 To know how to set up Parental controls using the router’s web interface, click here. IMPORTANT: The Linksys Wi-Fi Routers, E800, E900, E1700, and E2100L do not have the Parental controls feature. 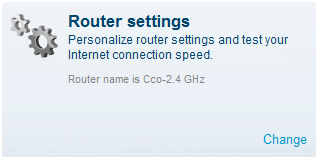 NOTE: Parental controls in Linksys Connect can be set up for up to five computers or devices. To learn more about Parental controls, click here. If you always have visitors in your home that you allow internet access to, you might want to set up a Guest network. When connected to the Guest network, your guests will only be able to access the internet without having access to your personal files and printers. This also prevents them from accessing the computers and devices that are connected to your main network. Although the Guest access feature is available in the web interface of the Linksys Wi-Fi Routers (E1200, E1500, E1550, E2500, E3200, E4200 v1 and E8350), Linksys Smart Wi-Fi Routers (E4200 v2, EA2700, EA3500, and EA4500) and Linksys X-series Gateways (X1000, X2000, X3000, and X3500), it is still recommended to use Linksys Connect as the primary configuration method for this feature. To know how to configure Guest access through the web interface, click here. To learn more about the Guest access feature, click here. IMPORTANT: The Linksys Wi-Fi Routers, E800, E900, E1700, and E2100L do not have the Guest access feature. Once you have set up your Wi-Fi, you might need to change some of the settings, such as your Wi-Fi name and password. A unique Wi-Fi name will let you easily identify your wireless network. It is also best to have a Wi-Fi password to secure your network. To check your Linksys Wi-Fi Router, Linksys Smart Wi-Fi Router or Linksys X-series Gateway’s name and password using Linksys Connect, click here. IMPORTANT: It is recommended to configure the Advanced settings of the Linksys Wi-Fi Router, Linksys Smart Wi-Fi Router, or Linksys X-series Gateway through Linksys Connect. To learn how to do this, click here.